John Howley had a nice 13.5 lbs fish on fly on the Ridge Pool, while the first salmon of the season was reported on the Mount Falcon water. Nial Connolly was the lucky angler with a 7 pounder caught on worm. Further fish were caught on Armstrong’s, Rinanney and the Foxford Salmon Anglers’ water, while Jeoff Wyles landed an 11.5 lbs. salmon on Gannon’s while spinning. 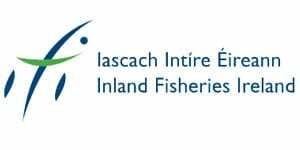 Amongst the successful anglers were Davy Elliott, Dave Cazabon, Didier Letormie, Danny Irvine, Mervyn Woods and Owen O’Reilly who all caught fish weighing between 5 lbs. and 8 lbs. 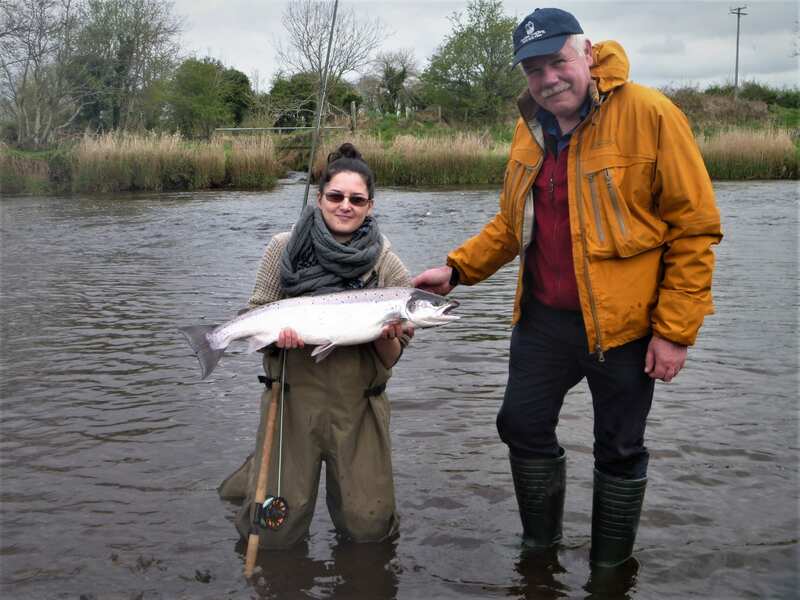 However, the best fish of the week was caught by Dublin angler, Rory Harkin. Rory’s magnificent 14 lbs. salmon took a Cascade. Other successful flies included Green Peter, Muddlers and small Shrimp patterns. Luke O’Connell & Paul Casey had 4 trout, while John Gorman & Keith Lindsay boated 4, best at 2.5 lbs. Gerry Martin also did will landing 6 trout, best at 3.5 lbs. Ken Murray & Gerry Kelly enjoyed great fishing over the past weekend catching 11 fish (9 released), best at 3 lbs. 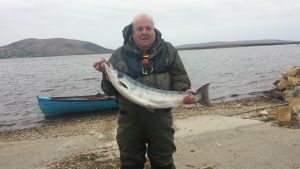 Paul Colreavy had a good fish of over 4 lbs. a week ago. 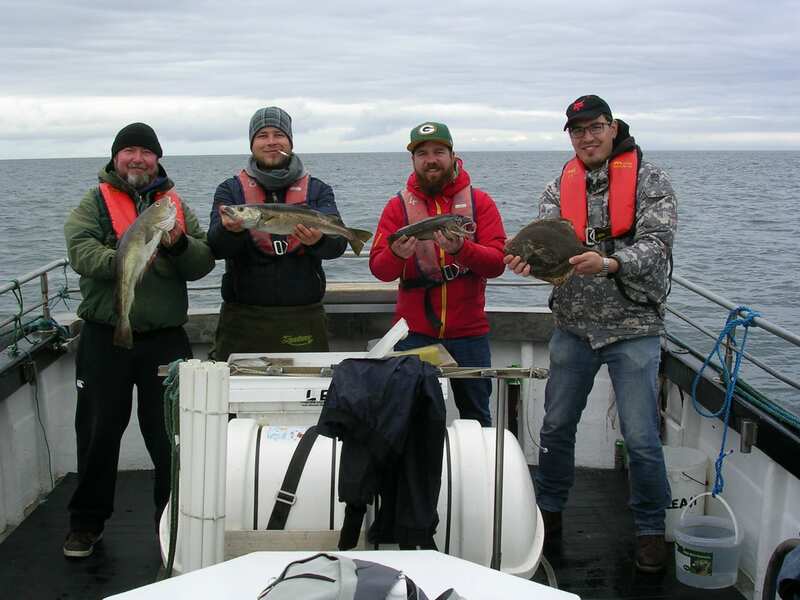 To book a day’s fishing in Killala Bay contact Donal Kennedy on +353 (0)086 8174509 or visit www.dkennedyangling.net.